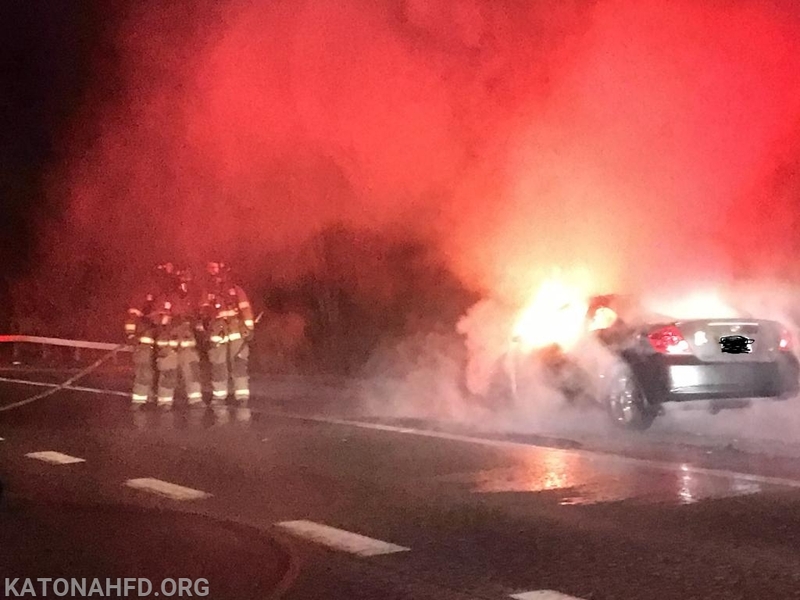 Katonah Fire Department was dispatched at 4:30 a.m. today for a reported car fire on I--684. 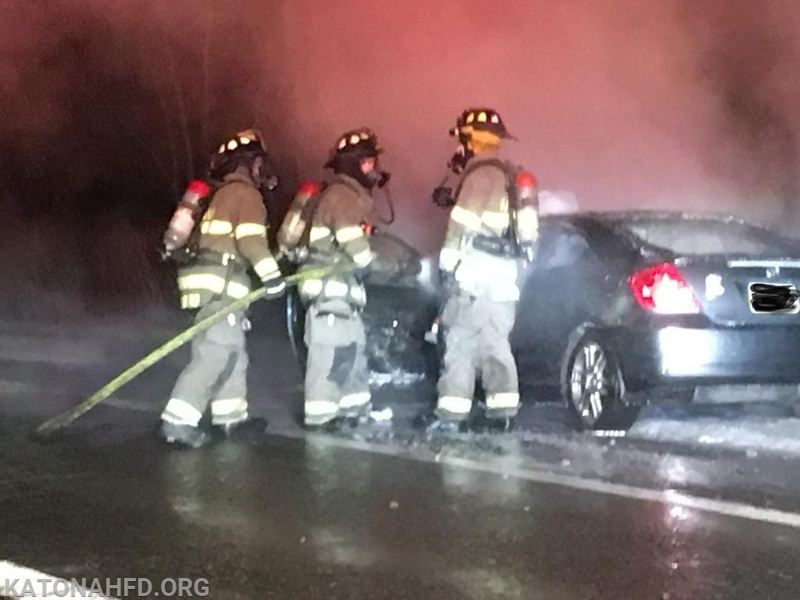 Katonah's Engine 115, Tanker 6, Car 2211, and Car 2212 arrived on scene to find a well-involved car fire on the by-pass road leading to the Exit 6 off ramp. Units attacked the fire using both water and foam. Units were on scene for just under an hour extinguishing the fire and overhauling.